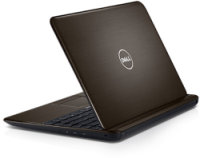 Dell has launched new Inspiron 13z and Inspiron 14z laptops; taking its 'z' series portfolio even furthur. The new laptops are powered by second generation Intel CoreTM i3 and Core i5 processors. The Inspiron 14z is available on www.dell.com for a price of $599.99 (around Rs.27,000) in select geographic regions while the Inspiron 13z is available in India for a starting price of Rs.36,800 on the online Dell store. Both the 13z and 14z feature high-definition (720p) displays and built-in SRS premium sound HD. The Inspiron 13z comes with a 13.3-inch widescreen HD (1366-768dpi) display while the Inspiron 14z is equipped with a 14-inch widescreen HD (1366-768dpi) display. The laptops run on Windows 7 operating system and the internal memory is configurable up to 8GB. The 13z comes with a choice of a 320GB or 500GB hard drive or 128GB of solid state storage while 14z comes with a choice of a 500GB, 640GB or 750GB hard drive. The Dell Inspiron laptops also come with the Dell Stage user interface, which offers one-click access to content like music, photos and videos. The laptops have Wi-Fi, Bluetooth 3.0, a full-size chiclet-style keyboard and USB 3.0 and the models are available in standard diamond black or optional fire red colours. "The new Inspiron 13z and 14z are two of the most powerful, ultra-thin Inspiron laptops we've ever offered," said Sam Burd, vice president of Dell's Consumer and Small/Medium Business product group.